It's been a while since I blogged something education related since I've been busy with my financial literacy/education blog www.fortunehabits.com. I've heard and have been exposed to CBE ever since YMA - Young Minds Academy since one of our mentors was from CBE - Coalition for Better Education. There is a lot of challenges, issues, and problems in the Philippine Education system. From teachers, school maintenance, dilapidated facilities, lack of books, system budget release and distribution, K to 12 and many more. Now multiply that to 40,000 elementary schools and 7,000 high schools in the Philippines? And about 95% of the total 47,000 are public schools. We have yet to even include or factor in Colleges and Universities. And this is where Coalition for Better Education (CBE) comes in. 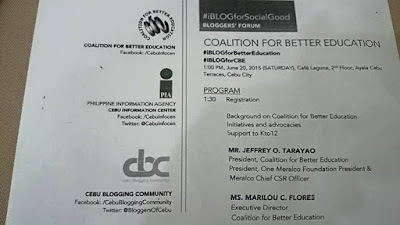 Their main focus is on public schools for its education development advocacies, because they "believe in the power in numbers" - according to CBE National President and One Meralco Foundation President Mr. Jeffrey O. Tarayao, together with Ms. Marilou C. Flores, during CBE Blogger's Forum. In that event, they also launched what you called a "Energy Flashcards". It is one of the newest project with Meralco’s Energy Education Program. These Energy Flash Cards will be used by public schools across the country. These are Project-Based Learning (PBL) Do-Cards activities meant to be used in times of disaster. How can CBE help Educators? In its mission to create empowered learning communities, they conduct training and development programs as follows. CBE partners with big organizations and companies in realizing its mission to help our teachers. These include Aboitiz Foundation, RAFI, DepEd, Microsoft Partners in Learning, PBSP, VECO, One Meralco Foundation, RP Energy, Globe, Unionbank, BCPD, City Savings, and JP Morgan Chase & Co. 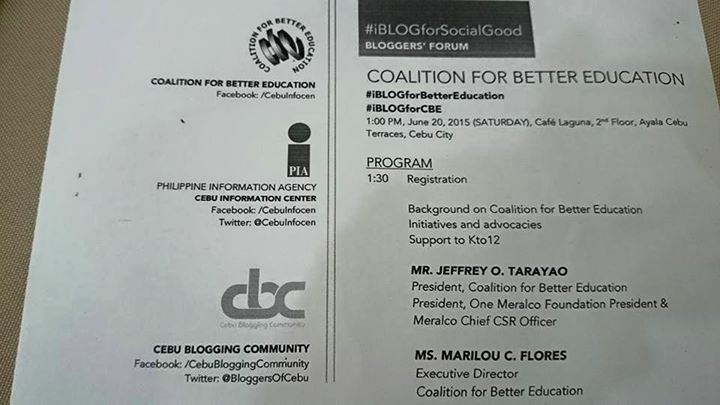 The Coalition for Better Education is a national organization based in Cebu, which focuses on education development in the Philippines. Founded in 2001, they will be celebrating their 14th year Foundation Day on August 8th, with the theme: "Imagine, Innovate, Inspire". Coalition For Better Education is a membership based group that is now on its 14th year dedicated on improving the education by conducting training, research and development to some teachers.This coalition consists of different sectors and professionals.that helped together to come up with great ideas in sustaining improvements. It also provides policy and action research, school audit, and curriculum development services. Another thing is they also administer Mind Share Sessions, events, exhibits, and fora in relation to Education. 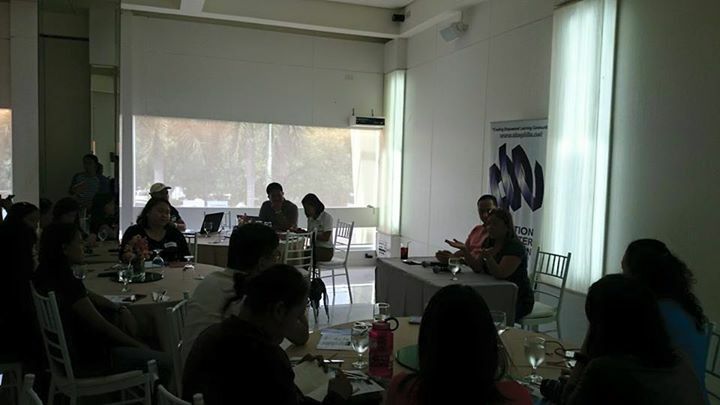 CBE is a membership organizition (Php300/year) which is open for all and needs more members from the media sector. If you are interested in this cause for better education, you can visit their website at www.cbephils.net. You can also visit their office at Center for Teacher Excellence, G/F Arts & Science Bldg., Cebu Normal University Campus.